The exhibition presents examples demonstrating the difficulties of establishing monuments and memorial sites for the Nazi crimes in West Berlin, thereby focussing on the so-calle perpetrator sites. It also shows individuals and initiatives that played an important role in the city's effort to confront its National Socialist past. Their stories are an essential part on West Germany's culture of remembrance and they make clear that the process of confronting this past is far from over. subsequently, 10 – 29 November 2017 in the Topography of Terror Documentation Center. 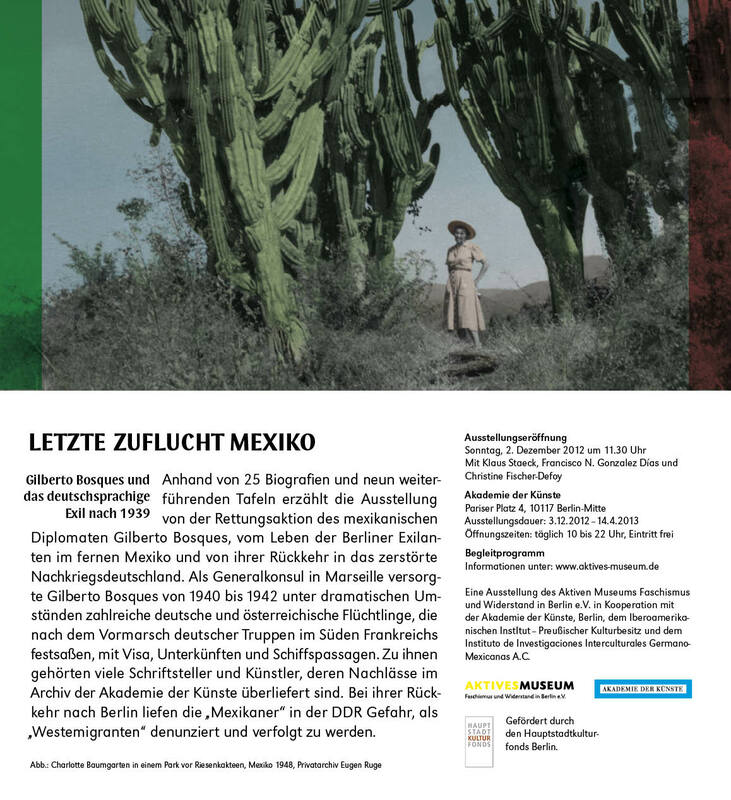 A printed brochure (in German and English) has been published in-house, which is available for purchase from the Aktives Museum office, priced €5 (postage not included). Simply contact the office by phone or email at info(at)aktives-museum.de.